When you want your big day to be more intimate, here's where to look. (SPOT.ph) Weddings will always be one of the most memorable events in anyone’s life, and we’re sure everyone wants that day to be perfect. From the dress to the guest list, wedding planning is no easy feat. If you're going for a small, intimate wedding with only your closest friends and family, you’ll want to have the reception somewhere that has good food to go with a great ambience. To make things easier for you, here are 15 restaurant reception venues perfect for your special day. 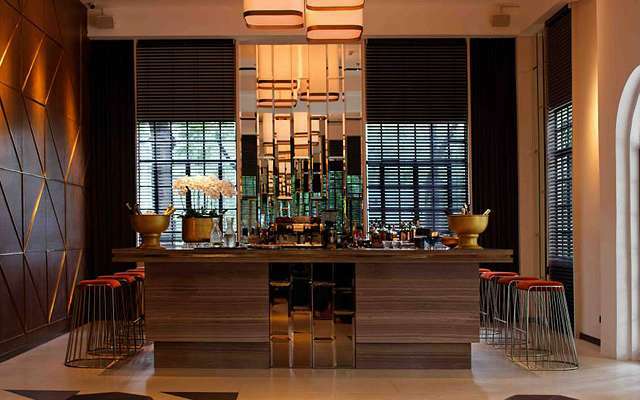 Caruso serves authentic Italian dishes inspired by the tastes of Milan, each one created and crafted lovingly by hand. They offer excellent catering services too, so you can always book a venue of your choice and have them come serve you. You can mix and match dishes according to your taste, but the restaurant highly recommends the following dishes for your special gathering: Mozzarella Di Bufala E Prosciutto Di Parma (P760) or assorted cold cuts with bufala cheese and Parma ham; Ossobuco Di Vitello Alla Minalese (P1,780) or Milanese-style veal shank with saffron rice; Spaghetti Aglio Olio E Pepperoncino Con Vongole (P590) or spaghetti with garlic, olive oil, chili, and clams; and Panna Cotta (P360). Pasta lovers might want to ask about their serving of three kinds of pasta in one plate, where guests can sample Caruso's specialties all at once. You don't have to worry about the cake and setup because Caruso will take care of that for you. The dishes are usually served per plate, but buffet style can also be requested. Rates: P1,300++ per head. The non-smoking area can accommodate up to 90 guests, while the smoking area fits about 30 to 35 guests. Caruso is at LRI Design Plaza, 210 Nicanor Garcia Street, Bel-Air, Makati City. For more information, call 895-2451, 895-8790, or visit their website. Mesclun knows that special occasions are all about the details—so they do the job for you by pairing up the right kinds of food and drinks all the way to making the decorations match the mood of your wedding. Their wedding packages are structured to assure you that every course will be covered but still flexible enough for you to mix and match to your heart’s content. Mesclun is at Waterfront Drive, Rockwell Center, Makati City. For more information, call 729-3403, 0977-802-390, 0917-896-2328, or visit their Facebook page. 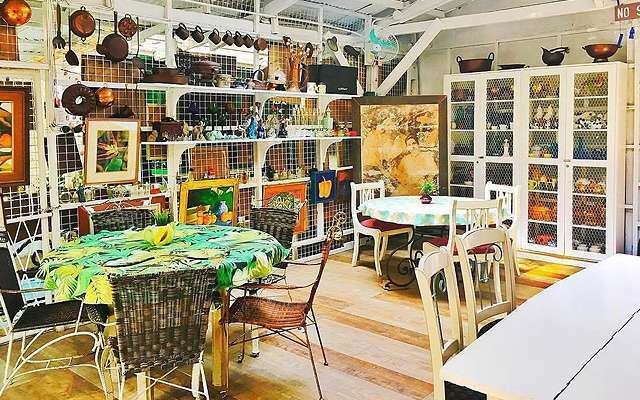 Sitting in the heart of Kapitolyo’s bustling food scene is Café Juanita, a homegrown joint that’s well-loved for their contemporary dishes that still ring with home-cooked goodness. The interior of the place is also lovely from every angle, so you can be sure your guests will have picture-perfect posts to help them remember your special day. If you’re wondering where to start on their menu, don’t miss their in-house favorites like the Juanita Crispy Spring Rolls (P370), Baby Squid Adobo (P236), or Kare-Kare Ni Juanita (P655). Café Juanita is at 19 West Capitol Drive, Barangay Kapitolyo, Pasig City. For more information, call 632-0357 or visit their Facebook page. If you fancy holding a wedding reception that’s just almost like hosting a small tea party with friends, look no further than Le Jardin Café. Perfect for intimate gatherings and receptions good for up to 25 guests, this quiet café and restaurant promises to provide a charming space for everyone to eat, talk, and celebrate your special day. While you’re planning your menu, be sure to try their Le Jardin Signature Kale & Quinoa Salad (P240), Iberian Chicken (P330), and Old-Fashioned Corned Beef (P290). Rates: Minimum of 20 pax and maximum of 25 pax. For P5,000, get a 5% discount on your total bill, free iced tea, and three hours free use of venue. For 10,000, get a 10% discount on your total bill, free slice of chocolate or carrot cake per person, and four hours free use of venue. Le Jardin Café is at G/F Bonifacio Stopover Corporate Center, 31st Street corner 2nd Avenue, Bonifacio Global City. For more information, call 0977-485-0853, 817-4458, or visit their Facebook page. 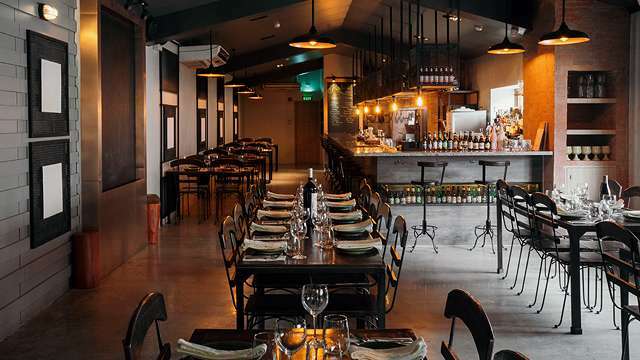 Privatus is an under-the-radar restaurant hidden in one of Pasig’s many warehouses. The place features some sleek modern interiors, and when paired with their contemporary culinary creations, everything becomes a pleasant surprise—perfect if you want a reception that everyone will remember. 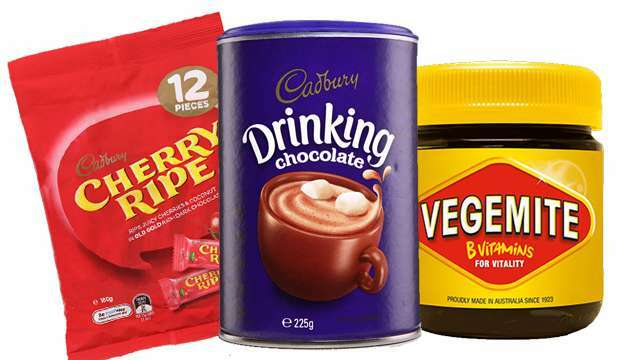 Bonus points: You can have Privatus cater for you in any other venue of your choice. Just be sure to include their best-selling dishes in the menu, like the Radical Burger (P305), Inasal Stew (P385), or Squash Blossoms (P200). Privatus is at 8 F. Legaspi Street, Barangay Maybunga, Pasig City. For more information, call 907-5457, 0917-629-7453, or visit their Facebook page. 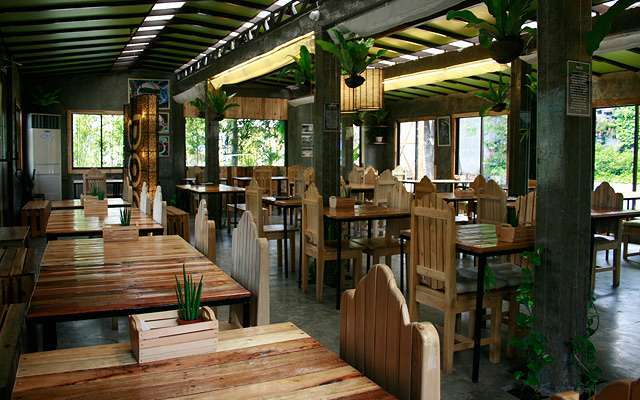 In case you’re looking for beautiful food to go with a beautiful restaurant, jot down Happy Garden Café on your list. Its name already promises what you can expect: A happy garden full of lush greens and romantic flowers that are always in bloom. You’ll fall in love not just with the warm, homey ambience but also the food, that’s all handled by the Bizu Group. You and your guests can enjoy their organic, gluten-free crowd favorites like their Brown Rice Pasta with Lamb Bolognese Sauce (P365) or Smoked Beef Brisket with Kahlua Barbecue Sauce (P565). Rates: Minimum of 50 pax. Set menus range from P665++ to P1,000++. Buffet Cocktails (P805++) and Pass-Around Cocktails (P525++) are also available. Happy Garden Café is at Sunshine Place, 56 Jupiter Street, Bel-Air, Makati City. For more information, call 824-5440 or visit their Facebook page. 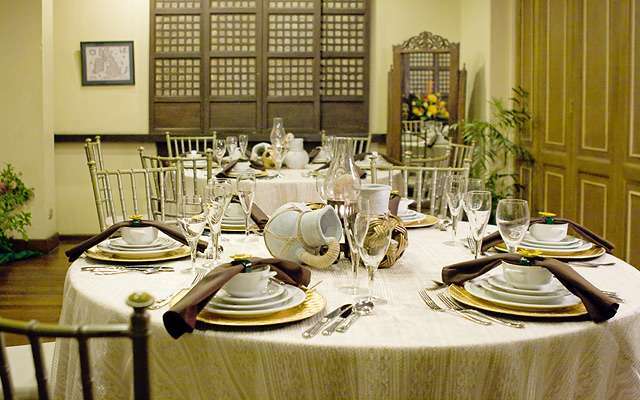 What can be more romantic than hosting your wedding reception right inside the Walled City of Manila? 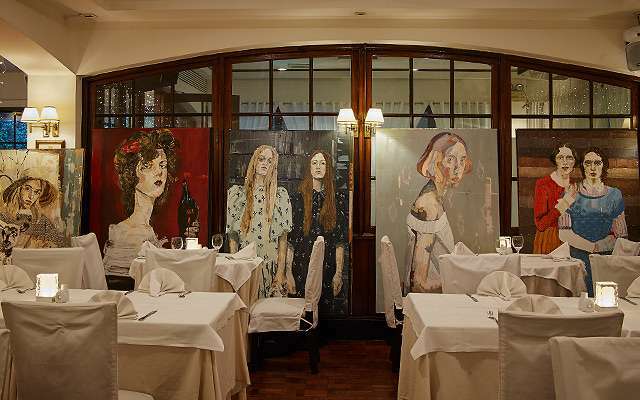 Surrounded by the beautiful preserved views from the Spanish-colonial era, Ilustrado adds to the ambience with their elegant interiors and their take on popular Hispanic dishes. Just feast your eyes on their Plato de Jamon Serrano (P795), Paella Ilustrado (P850), or their Kambing Caldereta (P495)—you and your guests will feel like you’ve just had a wedding in Spain! An added bonus is that they have function rooms that are perfect for big and small guest lists. Rates: The Diamond Package is priced at P1,475 for 150 pax, and The Silver Package is priced at P1,750/person for 150 pax. Ilustrado is at The El Amanecer Cultural Complex, General Luna (Calle Real del Palacio), Intramuros, Manila. For more information, call 527-3674, 0939-920-6822, or visit their website. For a true fine-dining experience on your wedding day, Lemuria is here to serve. From top to toe, you can be assured that everything about this restaurant will please your guests—from its elegant and luxurious interiors to their mouthwatering meals. You and your guests can be in for a real treat dining here—just check out their menu featuring European delicacies like oysters, fish, and duck. Lemuria is at 5 Julieta Circle, Horseshoe Village, Quezon City; and The Plaza @ Arya Residences, McKinley Parkway and Rizal Drive, Bonifacio Global City. For more information, call 724-5211, 722-2185, 721-5352, 0927-428-4202 or visit their website. Sala Bistro offers excellent service while cooking up delicious European-inspired dishes that will satisfy you and your guests. The venue has a beautiful outdoor garden that seats up to 40 people, as well as an indoor dining room that can accommodate 80 guests. You can choose to order set meals or customize your own, choosing from their many options of salads, pasta, steaks, and sides. 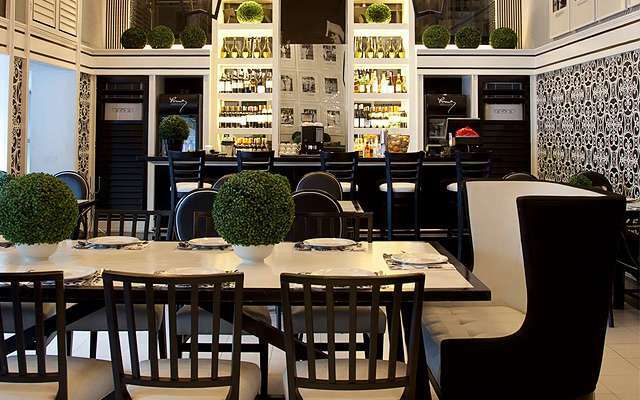 Sala Bistro is at G/F Garden Side, Greenbelt Malls, Ayala Center, Makati City. For more information, call 729-4888, 729-7500, or visit their website. If you’re after a bohemian-themed wedding reception, you might want to consider Rustic Mornings by Isabelo. The place has the charm and appeal of laid-back Sunday mornings no matter what time of day—just check out the pretty garden and homey knickknacks. Plus the menu will be a delight, like their Grilled Fish Soy Tuna Belly (P380), Buffalo Wings with Bleu Cheese Coleslaw (P350), and Creamy Tomato Curry Kofta Balls (P380). Rates: A set menu with three different options to choose from is priced at P500/head, for a maximum of three hours; P5,000 will be charged for every succeeding hour. A buffet set-up is available for P550/head, for a maximum of three hours; P7,750 will be charged for every succeeding hour. Rustic Mornings by Isabelo is at 11 Isabelo Mendoza Street, San Roque, Marikina City. For more information, call 681-2461 or visit their Facebook page. Is your guest list full of nature- and organic-loving friends? Then they’ll love Earth Kitchen, a restaurant dedicated to bringing out the goodness that all-natural produce can give. You can create a customized menu for your reception, so we’d recommend dishes like their Smoked Tomato Soup (P170), Milanese Risotto (P580), or the Ragu alla Bolognese (P280). 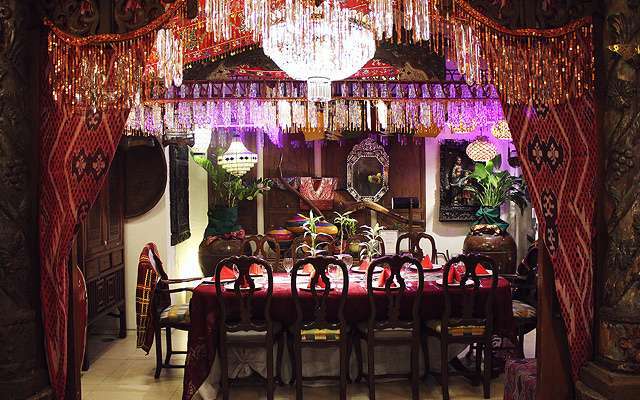 Plus, check out their beautiful hippy-themed function rooms that are good for 30 to 100 people­. Earth Kitchen is at Lot 10, B-10 Katipunan Avenue Extension, Barangay White Plains, Quezon City. For more information, call 577-9138, 961-0572, 0925-688-8952, or visit their website. In case you’re looking for a restaurant to perfectly complement your black-tie wedding, then check out Blackbird at the Nielson Tower. The interiors are sleek, modern, and fresh—perfect for the couple who enjoys big cities and posh experiences. There’s something for everyone here, from appetizers to dessert to cocktails. Just have a taste of their Tempura Lobster Rice Paper Roll (P720), and The Blackbird Burger (P680) to delight everyone at the event. Bonus points: They have an outdoor covered terrace that can seat up to 70 guests—perfect for enjoying cool city nights surrounded by the people you love. 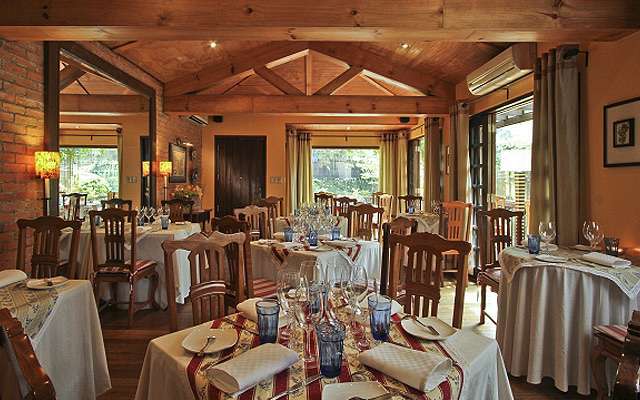 The Cabin area is good for 22 guests at one long table (set menu, bespoke menu, and matching wines available). The wooden deck fronting the terrace can accommodate up to 40 guests. There's a second deck for cocktail receptions with up to 30 guests which comes with a private bar. Blackbird is at Nielson Tower, Ayala Avenue, Makati City. For more information, call 828-4888, 0917-889-2782, 828-1937, or visit their website. If you and your soon-to-be spouse are a couple of old souls, then you might want to consider hosting your reception at Romulo Café. 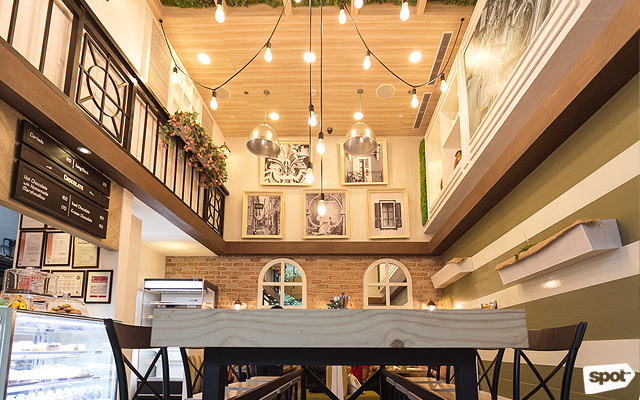 This café and restaurant is adorned and decorated with old photos from the time of former president Carlos P. Romulo, so dining will feel like a trip down memory lane in somebody’s home. 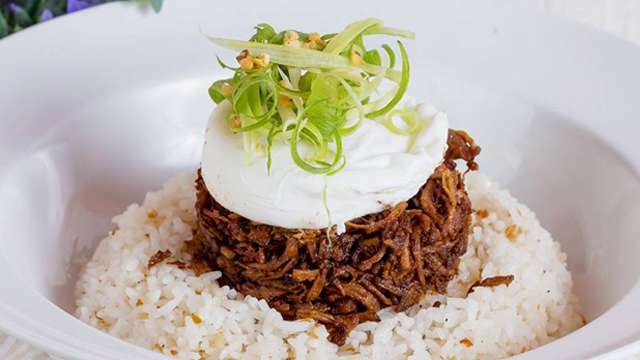 Romulo Café also serves hearty, traditionally Filipino dishes that will please everyone on your guest list. Some of their house favorites are Tito Greg’s Kare-Kare (P460), Flying Tilapia (P360), and Lola Virginia’s Chicken Relleno (P630). Depending on your guest list, they have locations that can accommodate guest lists from 30 to 90 people. Rates: The Quezon City branch can accommodate 30 to 80 pax. They can provide three kinds of set menus which include specials like crispy pata and chicken relleno (dishes can be mixed and matched with other menus). Price starts at P825 per head or P25,000 for 30 pax with buffet setup. 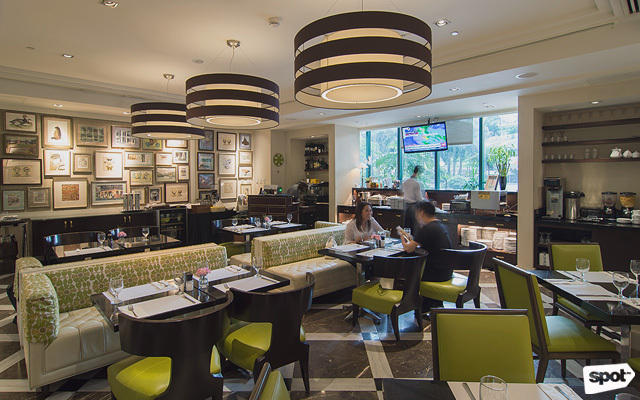 Romulo Café has branches at 32 Scout Tuason corner Scout Dr. Lazcano, Barangay Laging Handa, Tomas Morato, Quezon City; 148 Jupiter Street corner Comet, Bel-Air Village, Makati City; and Azumi Boutique Hotel, 2205 Market Street, Alabang, Muntinlupa City. For more information, call 478-6406 (Makati), 556-1443 (Alabang), 332-7275 (Quezon City), or visit their website. Hosting your reception in this ancestral home-turned-restaurant will please any old romantic soul. The space of Casa Roces itself promises to be elegant and timeless, paired with excellent service that’s traditionally Filipino. Not to mention all the warm, mouthwatering dishes of salads, pasta, and meats that are all chock full of love—a perfect complement for this once-in-a-lifetime romantic occasion. Casa Roces is at 1153 J.P. Laurel corner Aguado Street, San Miguel, Manila. For more information, call 735-5896, 488-1929, 0917-550-9743, or visit their website. For a wedding reception that really brings out Filipino flavors and hospitality, Aracama can help from beginning to end. 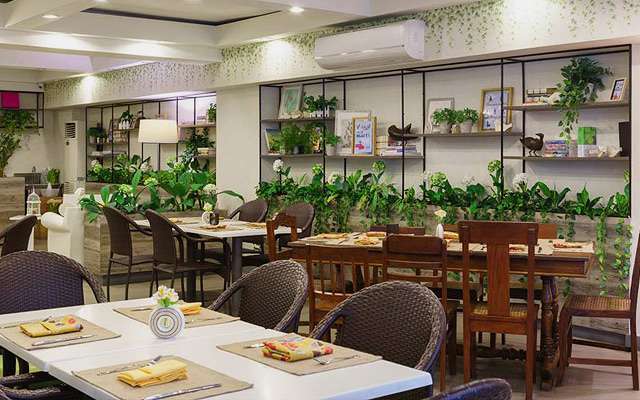 With a warm and cozy ambience that really sets the mood, the only job you and your guests will have is sitting back and enjoying the delectable Filipino cuisine being served in front of you. 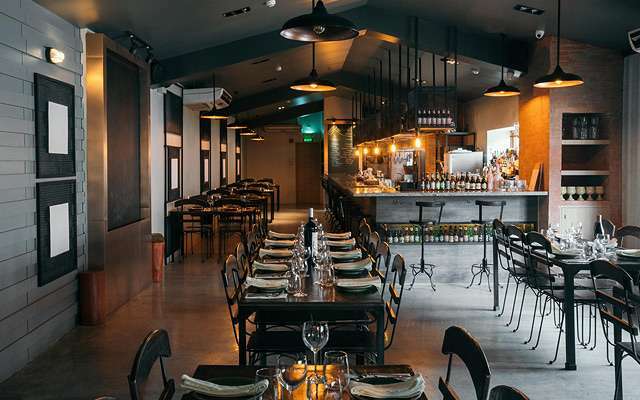 If you’re looking for something that’s a little different than their usual function rooms, they also have an open-air terrace with a panoramic view of Bonifacio Global City. Aracama is at Unit C, The Fort Entertainment Center, 5th Avenue corner 26th Street, Bonifacio Global City. For more information, call 519-6815, 0917-874-7738, 0917-861-2702, or visit their website.